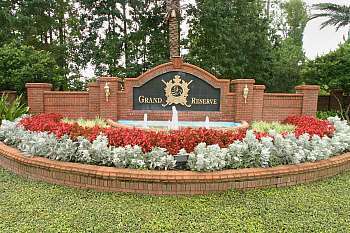 Grand Reserve at Windsor Park Condominiums in Jacksonville, Florida. 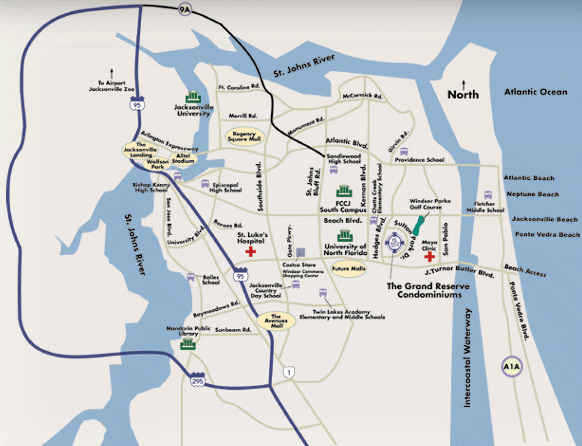 Located on North Sutton Park Drive off of Hodges Blvd, The Grand Reserve is a gated community close to the beaches, interstate, office parks, schools, premier shopping and dining. The community is a converted apartment complex with upgraded amenities. See area map. This 388-unit condo community is located near the beaches, interstate, office parks, schools, premier shopping and dining. Residents enjoy open floor plans, spacious owner's suites, two and three bedrooms, walk-in closets, assigned parking, and maintenance-free landscaping. The developer is JuLian LeCraw company. Residents enjoy open floor plans, spacious owner's suites, two and three bedrooms, walk-in closets, assigned parking, and maintenance-free landscaping. Attached garages available. Amenities include clubhouse, concierge services, pool with sun deck, fitness center, spa, tennis court, volley ball court, basketball court, putting green, business center, high-speed Internet access, car care center. Nearby Chets Creek elementary school is one of top Elementary schools in Florida.